During the summer going into my junior year I was fortunate enough to have the opportunity to intern for the New York office of Senate Minority Leader Charles E. Schumer. As an intern I was tasked with assisting in creating the Senator’s Schedule for various district events and working with caseworkers to address the needs of constituents. I primarily worked with the New York Office for Veterans Affairs. This was a great chance to utilize the tools that I learned at SJU, and to see the real world application of different elements of politics. One thing that this internship highlighted for me is the human aspect of politics. When you are sitting in class learning about political theories or engaging in discussions about different ideologies, it becomes easy to separate politics from your everyday life. Working in a political office really changes this feeling of separation, because things are far closer to home. It was a very interesting time to be working for Senator Schumer because my time in the office coincided with the Republican attempt to repeal and replace Obamacare. Going to events and hearing people’s stories about how healthcare changed their life was such a powerful thing to witness. I was fortunate enough to accompany the Senator to Bellevue Hospital and was able to meet people who were alive because of Medicare. After this the fight against “Trumpcare” took on a different feel, it was no longer about what was best for the party, but doing what was right for constituents. After my internship I realize how crucial it is to get first hand experience in the field, because there are things you cannot learn in a classroom. 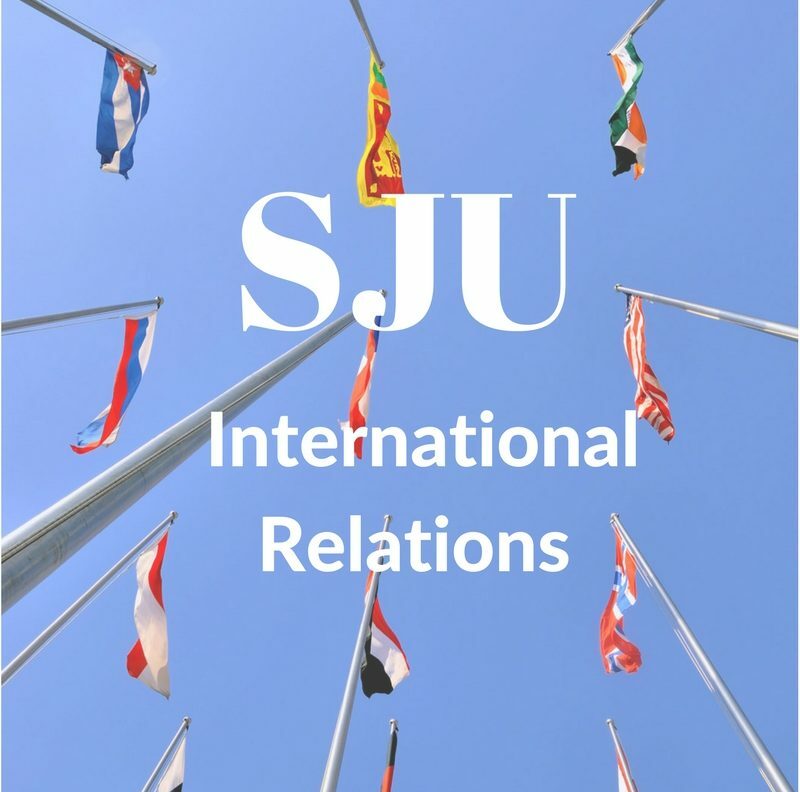 All that being said, I was prepared for the various tasks involved in my internship because of my International Relations and Political Science courses at Saint Joe’s. I was confident in my research skills and able to engage in discussion with my colleagues this made me a valuable asset to the workplace. I spent most of my time doing constituent services, and in doing so I felt myself reflecting the Jesuit Ideal of being a woman for others. While working with constituents can often feel overwhelming, it was also one of the most rewarding aspects of my experience. When I would speak to constituents and read their letters requesting our assistance, I was often touched by their stories and even if my office was not able to assist them, we were always able to use our resources to put them in contact with someone who could. This is what a Saint Joe’s education is all about, using your skills to help those in need, and I am so glad that I was given an opportunity to apply both academic skill and service to others in a real world political sphere.